This week, I want to discuss why people become fans of Facebook Pages in the first place. I’ll follow that with some thoughts on what doesn’t really work on Pages. After that, I’ll list some things that I believe do work, based on personal and professional experience, industry news and anecdotal information. I am surprised by the number of Facebook Pages that are popping up marketing what I would consider to be pretty “unmarketable” things for a Facebook audience. Let’s face it: Not everything should be marketed using every new cool tool on the block. Facebook Pages have specific features and functionality that may not always suit all the things you’d like to market. Facebook fans also have certain expectations in terms of how, when and why they interact on a Facebook Page. 1. They genuinely like or are interested in the object of the Page (company, nonprofit, cause, campaign, product, brand, etc.) High Many, including branding, customer service, relationship building, attracting attention, growing customer base. 2. They are doing it because someone they know did it. Moderate to Low Not much, unless the person they are following to your Page is engaged – they may “jump on the bandwagon” and become a truly engaged fan. 3. They are doing it because someone they know asked them to do it as a favor. Moderate to Low Not much, unless they are engaging at the behest of the person they know as a favor to the person they know and this mostly will just create some activity on your Page that others can see when they arrive. 4. Because it is easy to do (just click to become a fan) and then ignore. Low to None Very little benefit after the initial automatic broadcast to the person’s friends on Facebook that they’ve become a fan of your page. 5. They are using the action of becoming a fan more like a “bookmark” for possible future reference. Low to None Very little benefit after the initial automatic broadcast to the person’s friends on Facebook that they’ve become a fan of your page. 6. They want to keep up with a competitor or have a business reason to pay attention. Low to None Very little benefit after the initial automatic broadcast to the person’s friends on Facebook that they’ve become a fan of your page. I would venture to guess that many people are probably “fanning” your Page for the wrong reasons. Here are some thoughts on what falls short for Facebook Pages. “Non-Fannable” Stuff. I know this is a vague statement, but I’m not sure how else to label the stuff that you might want to market but people wouldn’t want to be a “fan” of. A nonprofit or an important social cause is “fannable.” A television ad campaign for a cause (as opposed to the cause itself) is less fannable. Something boring? Less fannable. Something overtly commercial without value to the community? Less fannable still. Automating. Facebook isn’t like Twitter where the rhythm and flow is such that you can get away with a more automated presence. Facebook is more about conversation, whereas Twitter can skip along with automated and scheduled posts in between actual interactions. People expect you to be there on your Facebook Page — maybe not all the time, but in an attentive manner. Applications. Facebook Applications that integrate into Fan Pages or that you program yourself using FBML don’t always work and set your page up for failure. Don’t push the tech envelope unless you are ready to lick the tech envelope. Formulaic responses. You need to loosen up and “get real.” If you are working off a script, you will fail. Facebook Pages may be a useful tool in your customer service and customer relationship toolkit, but they are about as intimate as you can get with a customer/potential customer without sitting in their living room. Trying to control. Let’s face it. Social media is not about you being in control anymore. The customer is in the driver’s seat. You are along for the ride, but fortunately can give some directions or guidance in appropriate ways. Sure you can delete things from your Facebook Page, but in the world of social media, that is an attack on transparency (not to mention freedom of expression and spirit of online community). Someone says something negative about you on your Page? Look at it as an opportunity to right a wrong or to give your side of the story with unrestrained candor. Learn from the Nestle fiasco. Being present. Automation may feed content and may trigger brief bursts of interaction, but really having humans there checking in on your Page on a regular basis and being empowered to respond in a timely and transparent manner is priceless. Tech support. If you build it, you better support it. If you add applications to it, you sure as heck better support it, because adding things to Facebook Pages to enhance them is a great idea on so many levels, except when those enhancements prove to be unstable. Things might break. You must be on call to address the issues. Being real. It isn’t necessarily about “you” being real, as in the person behind the Page — although that doesn’t hurt. It could be “you” as in the “voice of the brand.” But whoever it is, be human, have good manners, smile. Leading or guiding. Think of yourself as a party host, versus being the dictator of a small country. You can lead by example, suggest, cajole, provide resources and support, redirect, but you should not be heavy-handed in your approach on Facebook. At best, people will leave. At worst, they will make your Facebook Page hellish and unmanageable. In a way, the looser your grip on control, the more fluid, flowing and effective your interactions will be on your Facebook Page. Facebook is a powerful communications and marketing tool when used well. 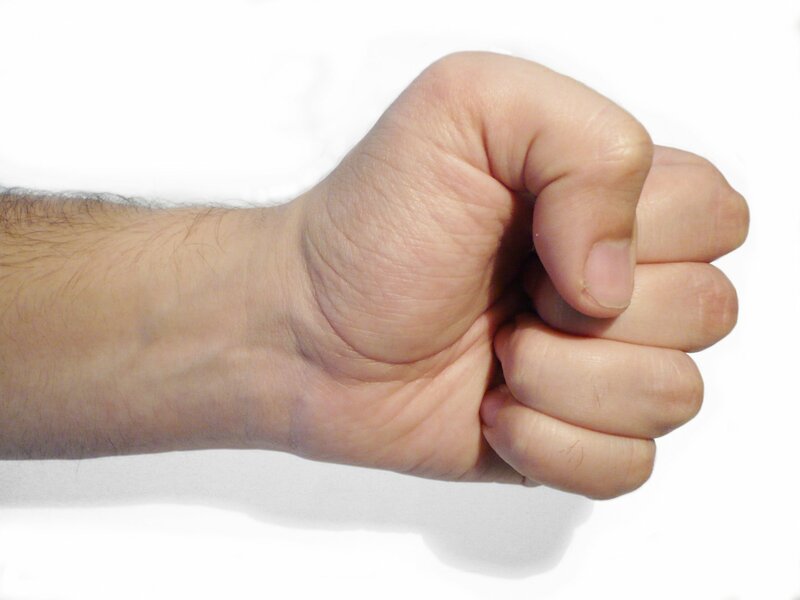 Use it badly, and it will kick you in the teeth. How are you using Facebook Pages and what good — and bad — practices are you seeing on the Pages you’ve encountered? Excellent article, and also I have another point which seems very obvious to me, many people join Fan pages just to get freebies, same with subscribing to ezines and blogs. I think this is good once in a while, but you don’t just want people who are only focused on the goodies – where is their interest in your business? Very nice article. I had mixed feelings for a little while about facebook. From time to time I still wonder if the time spent on it is time well spent, but in the end it boils down to what the customers want. Some of my customers want to keep in touch with me through facebook, and time spent keeping in touch with customers is always time well spent. What do we do about a profile name attached to our FB page? We have a page – no name associated = very limited options. What name did you use for your page? What do you recommend we do? We are a non-profit (st. joseph’s indian school) and need to move forward. Ideas? When you say a profile name attached to your page, do you mean having individuals (and their respective personal FB profiles) attached to pages as ADMINS? This is supposedly Facebook’s intention (unless they’ve changed this). They deliberate made profiles invisible (behind the scenes) so that a brand could be a brand w/o an associated individual. However, you can also put a person out there as the FACE of a Facebook Page if you’d like. For our clients, we tend to post as the Brand and not as ourselves, but when asked, we provide full disclosure that we are the social media marketing agency for X Brand. Did I answer your specific question? Yes, that is what I mean. We have the Page out there and have a growing fan base as we speak. However, no name is associated with it. So in order for us to add the Static FBML application, for example, I need to “create a profile.” However, nobody wants their personal name or profile attached to it. What if that person leaves? The organization has been around for 80+ years; certainly no Marketing employee will be here that long, if our Page should still exist the next 60 years or whatever. We definitely do not want a face associated with our Page. Brand only. I am the current admin, along with my supervisor, but only through our work emails, not personal. Do you recommend using a brand name, like the founder of the organization (who is long gone)? I am looking for any direction on this. Hmmm…we use a variety of Facebook 3rd party apps to enhance our client FB pages (as well as custom FBML Pages). We are all using our PERSONAL FB profiles when we become admins of client Pages. And nowhere on the page or app does our name/profile details show up. I know we’ve had team members who are no longer working on a client project so we remove them as admin. I’m not sure we’ve tried removing an admin who set up the initial apps. Would be a good experiment to try (on our FB Page, of course). There are so many variables & unclear processes involved with FB Pages. A powerful tool but fraught with features developed by non-business & non-marketing types who have no cohesive strategy. Thank you for this article. It was very timely. It seems like we have had a struggle for people wanting a Fan page, then they don’t keep it up. Like putting a shiny object in front of a cat. So the article was very timely. I plan to share it with our team. I really like the journalist, so this info is very useful for me in running my interest in the field of journalism .. I cannot think of anything that would make me a fan of Facebook. or Facebook Fan Pages. I really dislike the whole set-up. I was co-erced into joining Facebook by my grandchildren, and I really wish I hadn’t! 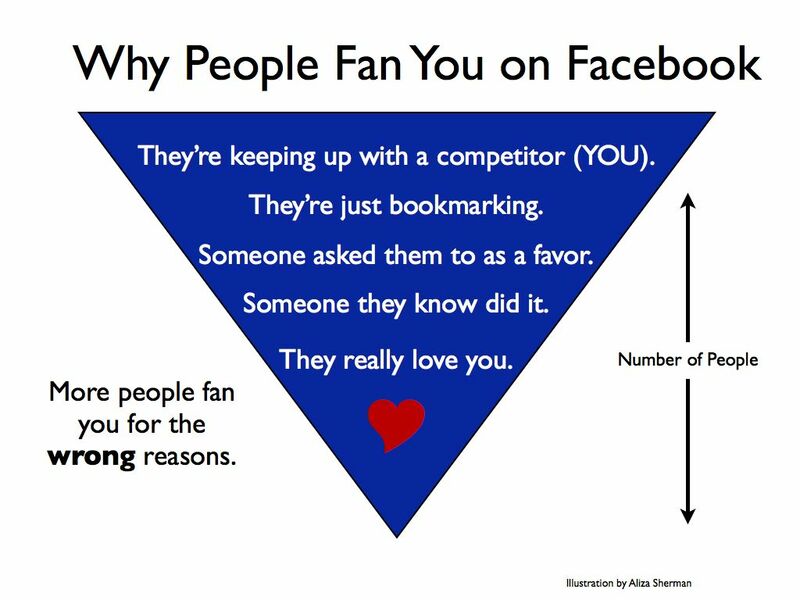 Very insightful – it is difficult to grow on facebook unless you’re page is about something people are interested in – and that they don’t mind others knowing they are interested in. Going to have a look through some more of your posts! Thanks Aliza for the detailed list of things that work and things that don’t on Facebook. I would say that when it comes to fan pages, keeping the conversation real like what you do when you’re interacting in real time has worked for me. Cheers! Thanks for the article! It was an interesting read to see someone’s viewpoint of Facebook Pages. I never really had a chance to give much analysis as to why some pages are more successful than others, but I think I just may give it a shot now. I guess I have yet to see a Facebook Page that I’m really interested in that engages the users. The most I’ve ever used the page for was to relay updates and bug fixes for our users (I used to be the community manager on a Facebook application). This seemed to work okay, but at that point in time (2007), Facebook as a social media hub really hadn’t taken off yet. And the current pages I am a fan of seem to be doing roughly the same thing, which isn’t bad per se. It just hadn’t piqued my interested. Really great post, but I have to disagree with the “Automating” part of Facebook. You should definitely not automate Facebook, but implying brands can automate Twitter successfully without also “being real” in that stream will also be rejected by the community. Twitter RSS feeds, which I see in practice with many brands, get boring and stale. I expect brands to “be there” on Twitter as much as Facebook, if not more so. I definitely don’t imply that you can automate Twitter and call it good. But there are many people who will subscribe to a Twitter feed for a content feed rather than using a Feed Reader. I think you can safely start with a feed on Twitter then build up to being there. Because a Twitterstream’s flow and pace can be swift, you can “get awa”y more often with feeds plus presence. Every Twitter follower has a different preference and tolerance, of course. Loved the post. The “Facebook isn’t like Twitter” statement is true in more than one way. Facebook users like to interact via photos, video etc. When automating updates you end up with a Twitter-like update stream not a visually interactive page. The examples in Aliza’s link show that Facebook has a visually engaging advantage that other social media tools don’t have. I’m always frustrated when i get repeated invites to pages I honestly don’t care about and I have to keep hitting the “ignore” button when they keep popping up. Great piece, Aliza. I will certainly share with others here at tampabay.com. I think one of the key points is being there. We’ve learned thru a lot of trial & error w/various fan pages for our company, but essentially anything that has been automated has failed. Quick lesson for us: If you’re not going to invest the time, it’s not worth setting up. “Donâ€™t push the tech envelope unless you are ready to lick the tech envelope.” Great way of putting it. I think Facebook will become a mayor player in advertising your business in the future instead of google because it cheaper per click to advertise on Facebook and free to create a fan page for your business unlike google. Thanks for the post! I manage a facebook fan page for a school, which we launched in February. We are lucky to have mostly fans who have a connection to our school. We try to put a good balance of information and a mix of media. We are also balancing other social media platforms. Our page is facebook.com/hunschool. We’ve been measuring how many visitors go from facebook to our website and it’s been growing, it’s now second only to google in terms of referring pages. I’m wondering how others measure the success of social media in their overall communication strategy. Great article with good insights. I am the primary admin of my company’s Facebook Fan Page and try very hard to keep updated content on it regularly, and keep it varied (all Blog posts is not varied). A tip I can offer is to not rely on it as the one and only. You have to be integrated in many other social media ways as well and have them all complement each other. Blog post, Tweets, LinkedIn suggestions can all be noted on your Fan page and offer different content across social media. Also look for conversation starters to get some feedback as well. As the article states, remember you are a person and your company is made up of people. The events of those people can show on the Fan Page as well if appropriate and in some way business related. Lessons in how to manage all the different social touchpoints with your friends/fans/followers/members/customers. This article is a revelation. This is such a coincidence, I have just set up a FB page this week and have asked my friends to support it.. it is for my upcoming online store. Not sure now, how many of those ‘fans’ will really translate to ‘cutomers’ ..
My daugher set up a Facebook Group for my website when the site was brand new. The Group did get a good number of viewers onto the site, but most of the so-called fans were ‘one hit’ guests. On the plus side, a few loyal viewers first found the website via Facebook. On balance, I think it was good initial publicity, but in order to grow viewers to the website we have had to pursue other methods and media. Your analysis is very interesting and has helped me to understand why the Facebook Group has failed to sustain interest. This is a great resource. i am working on a media plan for a friends new company and these are great tips! Good suggestions. I am not shocked that many folks just dive into Facebook and other social media without a plan or understanding how it might help them. Your “be real” suggestion is essential–building relationships is critical and without genuine posts and comments the host is certain to fail. Thanks for the article. I am getting ready to launch a new business for IT services and we are discussing the use of Social Media. Your post brings up key points as to the use of Facebook – thank you. Thanks for the article! I’ve just created a fan page for my business, basically because I’m told it’s a “must” if I’m to market on social media, but I’m still not that sure what to do with it. I’ve joined a number of them myself, but for all those “wrong” reasons you listed in your article. I’ve yet to see a fan page that truly interests me or that I’m motivated to visit regularly, if ever. Can you give some examples of some excellent fan pages I could visit and check out or specific characteristics a fan page needs to build an active community? Excellent is a loaded word. My own company manages some Facebook Pages for clients & we are really IN THERE having conversations with fans who are very passionate and active. But are they excellent pages? We’re still learning. Aliza, just checked out your post above and read a few more on your blog. Wow, you really know your stuff. What a great resource to share with our peeps. BTW: Just followed you on Twitter (@KimCastle). Look forward to continuing the connection.